Quick Reads have published six new titles for 2017, a mixture of genres in which everyone is bound to find something they enjoy. Established to challenge the notion that "reading is difficult", Quick Reads commission big-name authors to write short titles that are specifically designed to be easy to read. 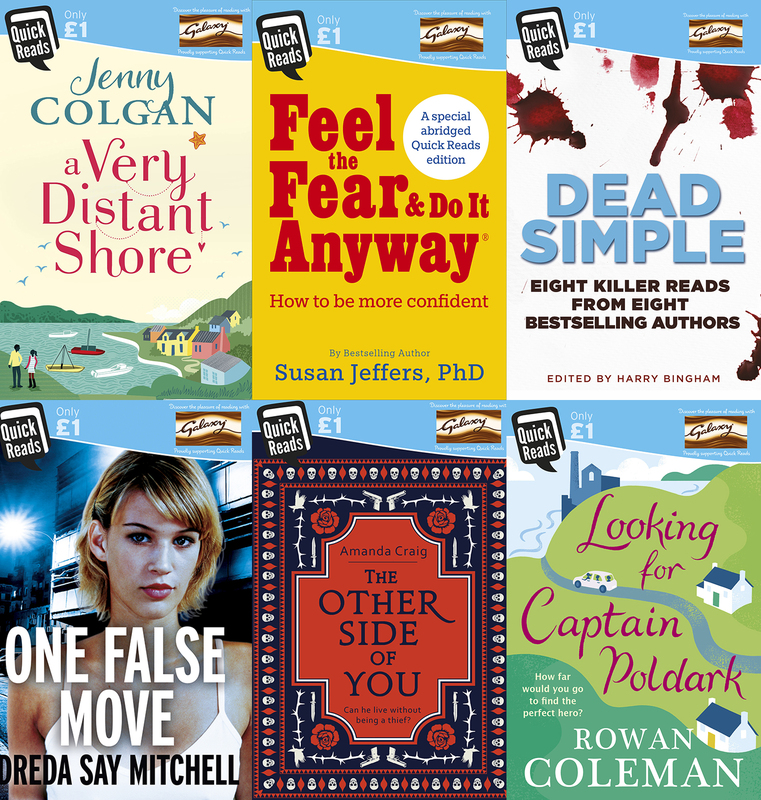 Short, sweet and costing only £1 each, they appeal to those who claim they don't have time to read and also those who want to try a new author or genre. A crime collection bringing together eight writers including Harry Bingham, Mark Billingham, Clare Mackintosh, James Oswald, CL Taylor, Angela Marsons, Jane Casey and Antonia Hodgson. A road trip novel about four people who meet online and drive to Cornwall to the Poldark set to find Aiden Turner. Coleman, who is dyslexic herself, is the bestselling novelist of The Memory Book and We Are All Made of Stars. A romantic novel set on a remote Scottish island, where a Syrian refugee goes to work as a doctor. The small community welcome him but can he forget his past? Colgan is the bestselling author of The Little Beach Street Bakery. A re-imagining of Beauty and the Beast, set in London. Amanda has written a number of very well-reviewed novels including Hearts and Minds and A Vicious Circle. A specially adapted book drawing on the late Susan Jeffers' landmark self-help book Feel the Fear and Do it Anyway and its bestselling follow ups. A gritty novel set on the Devil's Estate in London, the same setting as her recent Flesh and Blood trilogy. Quick Reads are available in libraries and popular book stores. Feel free to let us know which one you like the best by posting your comments below.